*Plus shipping. Stairways longer than 14'-5" require an additional charge. Shipments to destinations outside continental U.S. require additional administation fee plus custom shipping charge. Please ask for custom quote. New Design! Includes Contour Seat & Folding Armrests! 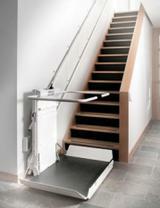 *Final price depends on stairway length, options and your location. We specialize in servicing all of Central and South Florida, including the Florida Keys, Miami, Homestead, Fort Lauderdale, Hollywood, Coral Springs, Delray Beach, Deerfield Beach, Boca Raton, Boynton Beach, Palm Beach, West Palm Beach, Jupiter, Stuart, Palm City, Port Saint Lucie, Fort Pierce, Vero Beach, Melbourne, Titusville, Orlando, Daytona Beach, Tampa, St. Petersburg, and many others. 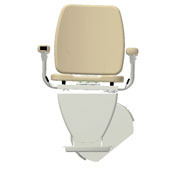 We also offer professional installation services for Acorn Stair Lifts in the following counties - San Diego, Orange, Riverside, San Bernardino, Los Angeles. If you do not see your county listed here please call us to see if installation is available in your area. 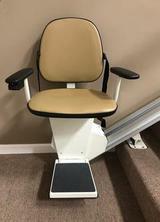 In addition, we sell and install stairlifts on the Caribbean Islands including Antigua, Aruba, Bahamas, Barbados, Bermuda, British Virgin Islands, Cayman Islands, Dominican Republic, Grenada, Guadeloupe, Jamaica, Martinique, Puerto Rico, St. Barthelemy, St. Kitts, St. Lucia, St. Martin, St. Vincent, Trinidad, Turks and Caicos, U.S. Virgin Islands (St. Thomas, St. Croix, St. John) and others. All our products can be shipped to Central and South American locations. Installation may be available on a case by case basis. Please call us for more information. 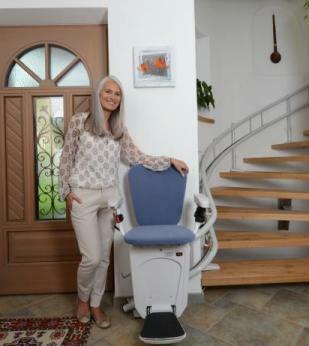 *Not all stair lift models are available for professional installation in all locations.